Assam is the reflection of India’s rich forests reserves and the incredible wild life prospering in these dense forests. 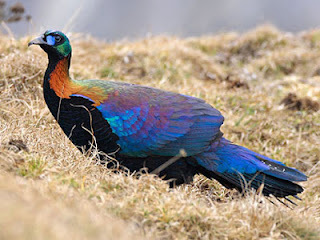 It is the north eastern Indian state blessed with a panorama of attractions for the tourist with number of popular Assam wildlife sanctuaries and rare species of animals preserved in them. The states cultural richness is the outcome of various ethnic groups settled here since historic times and each group is adding its share to the mix bowl of culture. If we take a glance at preference of the tourists visiting this state, it is clear from statistics that jungles and wildlife of Assam is the prime factor bringing hordes of tourists to this natures marvel. 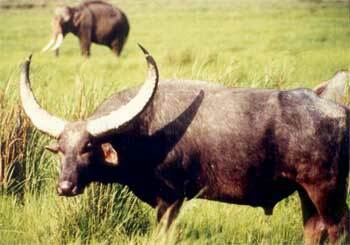 Kaziranga National Park is not only a popular Assam wildlife sanctuary but it is pride of the nation. 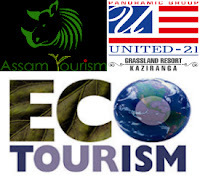 Assam tourism is bestowed with many popular wildlife sanctuaries. Among the wildlife sanctuaries Dibru-Saikhowa is one of the Assam National Parks in Dibrugarh, which is tucked amidst three great rivers of Assam namely Dibru, Brahmaputra and Lohit. The sanctuary is renowned as the biggest salix swamp forest in whole of North East India and vegetation is deciduous as well as semi-wet evergreen type. 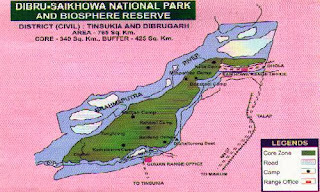 Area of the sanctuary was declared as reserve forest in steps, Dibru region being declared first and Saikhowa later. 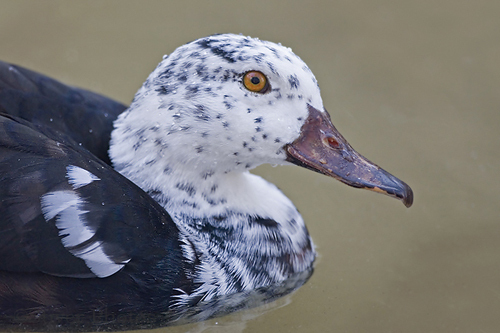 This sanctuary was established with the aim of preserving the rare, diminishing species of white winged wood ducks, but provided shelter to other rare species like wild horse, capped Langur, tiger and water buffaloes. Wild horse also known as feral horse is the highlight of this sanctuary. Animal life to be viewed in their natural habitat includes royal Bengal tiger, hoolock gibbons and leopards. This sanctuary shelters many exotic migratory bird species like Bengal florican, lesser adjutant stork and spotted billed pelican providing a chance to the bird enthusiasts to get a closer look at these birds roaming freely along boundaries of the sanctuary. 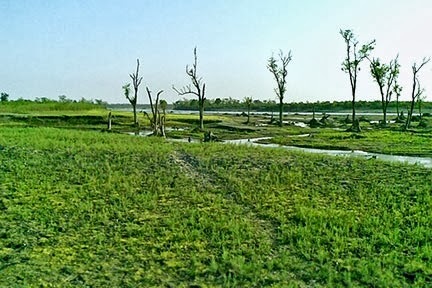 Maguri Motapung beel, lake near sanctuary is the right place for tourists to spot variety of birds at a single location, where more than three hundred bird species are recorded. The area around lake is supposed to be rich in biodiversity and has played an important role in conserving fast diminishing species of waterfowl and grassland birds. 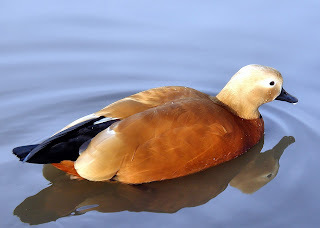 Bird and animal life near the lake can be well explored by joining the boat rides specially organized for the tourists. 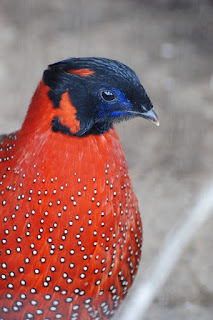 Easy encounter with the birds can only be made if you are carrying a set of binoculars and a good quality camera. 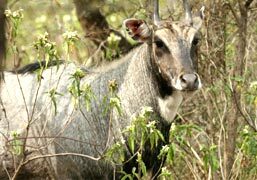 While exploring the sanctuary it is advisable to hire a local guide, since knowing places of concentration of animals is the key factor while spotting animal life of this region. Best time to visit this sanctuary is between the months of September to March and Dibru-Saikhowa Sanctuary timings in the day are convenient for visitors. 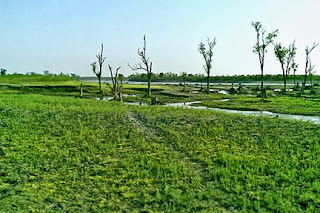 To reach at Dibru-Saikhowa Wildlife Sanctuary need to come Tinsukia town from where you can catch buses or hire private vehical to the national park in Dibru Saikhova. Mohanbari or Dibrugarh Airport at Mohanbari is nearest Airport, about the 40 kms. away from Tinsukia town. Tinsukia is well connected to Rail route. Many trains are running through New Tinsukia Junction railway station. By road, park is 55 km away from Tinuskia District is connected by NH 37. Private Vehicle and Buses are running frequently from Tinsukia District to Dibru Saikhova National Park. If you come from Guwahati than it is 500 kms by road. State Buses are quite uncomfortable because poor condition of bus, so, better opt for private vehicle. Prior permission is require to get enrty into park. 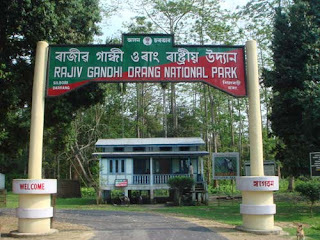 Tourist can enter the park from Guijan Ghat (10km from Tinsukia) or Saikhowa Ghat. Entry before and after sunset is not allowed, even night halt is not permitted. Dibru Saikhova National Park have two forest villages Dhadia and Laika, which have beautiful views and natural fauna. There are no riding elephants in Dibru Saikhowa and no roads, so prepare for long walking also hire a guide for better directions. A small motorized boat are available travel inside the park. The Maguri Lake is one more attraction. It is situated outside the park. 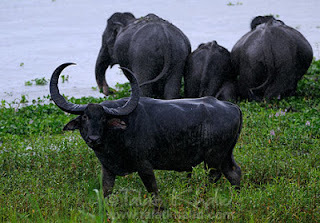 Maguri Beel has rare exotic birds, a few migratory birds and a resident strong herd of wild buffaloes. Park remain closed during monsoon because of heavy rainfal. It reopen by Novermber till April, is only time when tourist are allowed to entry at Dibru Saikhova National Park. 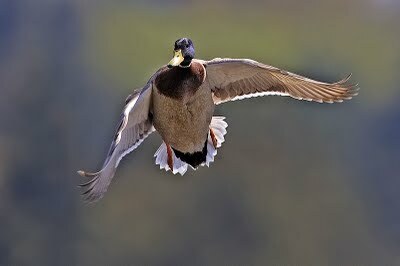 The climate is warm during this period and many migratory birds are coming here for breeding here. Wildlife tours have acquired a greater importance in today's times, especially among nature lovers who always look forward to spending quality time in the midst of beautiful natural landscapes and some fabulous species of wild animals. Other than the joys of visiting such places, it is a wonderful opportunity to know more about different species of plants, trees, animals and birds that interests them more. But, before embarking on such tours, it is extremely necessary to find suitable hotels or resorts that would ensure a comfortable stay for tourists. An ideal room or suite must have all the basic facilities along with certain added amenities that would make for a memorable stay. Travellers would love the environment that prevails in surrounding areas of Kaziranga resorts during their expedition to this wildlife reserve. As soon as visitors enter the region of Kaziranga’s wildlife reserve, they find themselves in an amazing world of one-horned Indian Rhinoceros. It is a natural habitat for many endangered species and offers a pleasant atmosphere for tourists to sight different types of wild animals and birds amidst great variety of plants and trees. 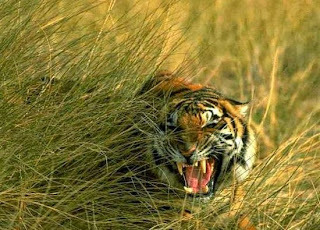 Tourists consider Kaziranga National Park as an important destination in the itinerary of North-East India tours. They are often thrilled to go on a wildlife safari in this national park, which is made possible with an elephant or a jeep ride. Most of the tourists find the park's tour very thrilling and a pleasant accommodation makes their vacation in Kaziranga truly enjoyable. Eco-tourists would love to be in this region as they can have a rare opportunity to witness nature at its best. Eco-tourism is a relatively new concept that has created greater demand for regions that possess immense natural beauty and green surroundings. Popularity of Assam tourism can be attributed to its vast treasures of natural landscapes and highly successful wildlife conservation projects. It is one of those regions in India which enjoys an unpolluted atmosphere, offering tourists a great amount of environment-friendly surroundings. A tour to Assam would reveal several green forests, enchanting rivers and majestic hills that seem to extend a warm welcome for visitors. While choosing a place to see in Assam before setting out on a tour to this region, travellers can have plenty of options. With the presence of a rich cultural heritage and recreational facilities offered at several places, people would have an exciting time visiting different regions of Assam. An Indian state located in north-eastern part of the country, Assam offers beautiful natural landscapes that would truly mesmerise any tourist visiting the region. This is the reason why Assam tourism has witnessed tremendous growth in the past few years. People from different corners of the world visit this region for its vast expanses of evergreen rainforests and large varieties of flora and fauna. Wild animals in an Assam national park is always a delight to watch, as they are seen moving around freely in their natural habitat. There are many wildlife sanctuaries in this region that are worth visiting, but tourists often find Orang National Park very convenient to visit during peak seasons. Except the journey on 12-kilometre bumpy road that they have to endure before getting there, everything else about the visit to this national park is absolutely wonderful. 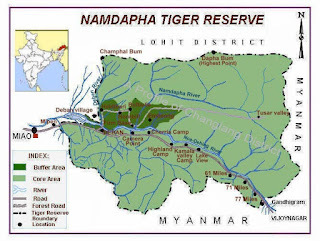 About Organ National Park - The Orang National Park is located at bank of Brahmaputra River, Assam covers 78.81 square kilometers (30.43 sq mi). At 1985 it is declare as national park. 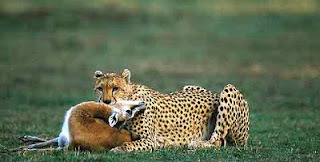 Orang National Park also know as mini Kaziranga National Park because of its simmilar landscape. 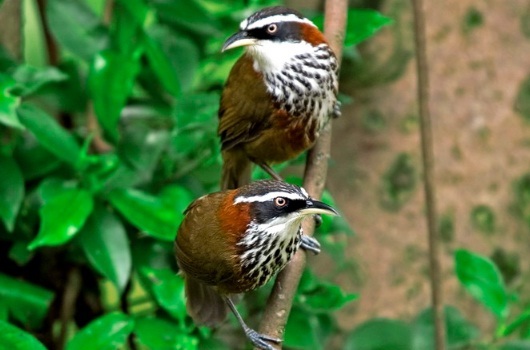 Best time to visit this wildlife reserve is between the months of November and April, but many people consider February and March as an ideal time for its tour. Visitors can choose the national park timing of their choice which would be either in early mornings or early evenings. Its Rhinos are quite popular among the tourists, but they can also witness different types of wild animals and birds while touring the park. Animals that are part of Orang wildlife include elephants, tigers, barking deer and leopard. Bird lovers can find plenty of resident and migratory birds in this national park including Rudy Shelduck and Mallard. Tourists would also find an inspection bungalow overlooking a swampy grassland very useful in sighting wild animals of this area. Reaching this region would not be a problem for visitors as it is well-connected to the national highway through gravel roads. 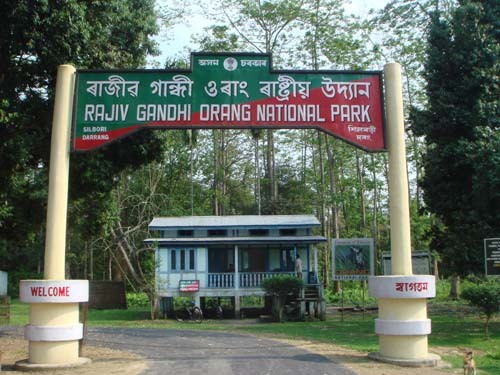 Both domestic and international travelers can access the national park from Guwahati, which is the capital of Assam. An Orang national park map would provide the required directions for tourists while sightseeing. It is advisable to wear cotton clothes in summer season, while people visiting during winters must wear light woolen clothes. 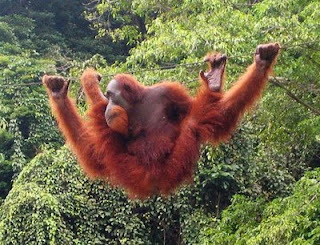 Those looking for Orang National Park accommodation can find some excellent resorts in the surrounding regions. These resorts offer elegant rooms or suites for tourists for a comfortable stay while their location helps to arrange wildlife tours according to Orang national park timings without any hassles. Other than the wildlife reserve, they can also visit other places of interest during their stay in these resorts. Assam is known as the gateway to north-east India and also finds mention in 'Mahabharata', one of the major Hindu epics. It is referred to as 'Pragiyotisha' and 'Kamarupa' in the ancient text. Possessing immense natural beauty, this state has vast expanses of tropical evergreen rainforests that fosters huge varieties of flora and fauna. The famous one-horned rhinoceros can be found in Assam national parks that have been used for conserving several other endangered species. Visitors from different parts of the world flock to these wildlife sanctuaries every year to witness the wild animals and birds moving freely in the protected natural surroundings. Dense forests of Assam have also provided much needed shelter for Asian elephants. Growing popularity of these regions among tourists have prompted authorities to develop various facilities for visitors. People who travel to this region also contribute towards the developmental activities that authorities of national parks come up with on a regular basis. North-eastern parts of India have always fascinated travellers right from the ancient times, who captured the mystical views of rivers, hills, waterfalls and dense forests in their writings. In recent times, an Assam wildlife tour would reveal everything that the ancient travellers had recorded during their journeys. 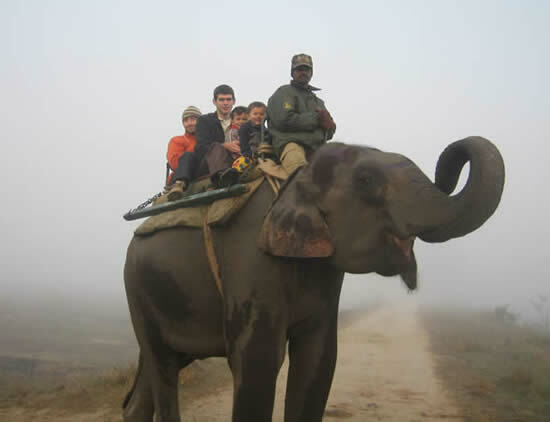 Such tours are conducted either on elephant backs or using vehicles such as an open Gypsy. Tourists prefer elephant safaris as they provide an opportunity to explore places where vehicles cannot enter. Expert guides ensure that visitors are safely taken to the locations where they can witness amazing wildlife of the national parks. But, there are certain rules and guidelines that have to be followed while on wildlife safaris to ensure that they do not cause any disturbance to the animals and birds. It is absolutely necessary that vehicles be driven slowly while inside the parks to get a better view of the wildlife. Specific tracks have been created for directions to keep the vehicles at a safe distance from plants, trees, animals and birds of these regions. Bags are provided for visitors to put the non-biodegradable materials such as tin cans and plastic bottles in them while touring the parks to prevent pollution. 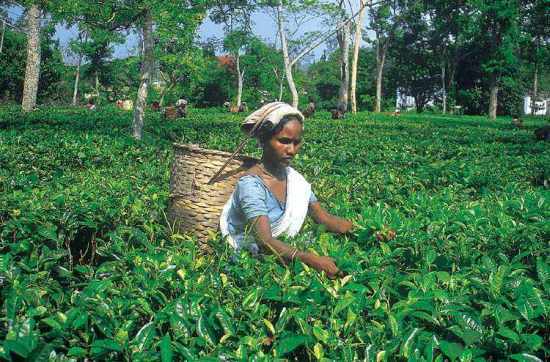 Tourism in Assam has not only helped curious visitors to explore its green natural surroundings, but has also been instrumental to a great extent in generating employment opportunities for the locals. As a result, many of them today are associated with Assam tourism by working as tour guides, drivers or any of the professionals related to this industry. Increase in numbers of visitors to Assam's national parks every year has also prompted the authorities to concentrate more on conservation of forests and wildlife. A great deal of planning is being done for the development of various facilities in the national parks. This would benefit both domestic and international visitors to explore wildlife sanctuaries of Assam in a better way. Revenues generated as a result of increased tourist activities would go a long way in building adequate funds for carrying out the required developmental and maintenance work in these parks. 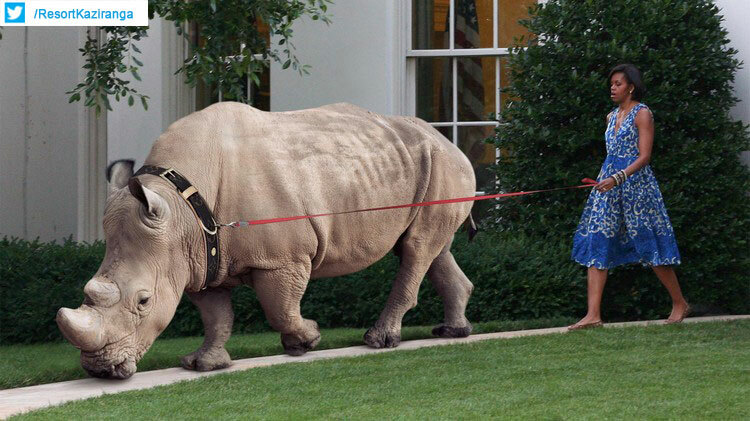 Spectators outside the White House received a rare treat this morning when they witnessed First Lady Michelle Obama on the South Lawn going for a stroll with the family’s pet rhinoceros, Chauncey. “Owning a rhino is a lot of work, but all of the Obamas—and especially Michelle—really love Chauncey,” said White House spokesperson Sam Davidson of the 3,000-pound eastern black rhinoceros the family adopted in December after Barack Obama’s reelection promise to “finally get Sasha and Malia that rhino they’ve been wanting.” “And Chauncey really loves them all, too. He sleeps inside the White House master bedroom, he gives Sasha and Malia fun rhino rides, and he always charges at the president whenever he first enters the Oval Office.” Sources confirmed that the Obamas have been considering purchasing a steel cage for Chauncey ever since the rhino accidentally gored Health and Human Services Sec. Kathleen Sebelius earlier this month. 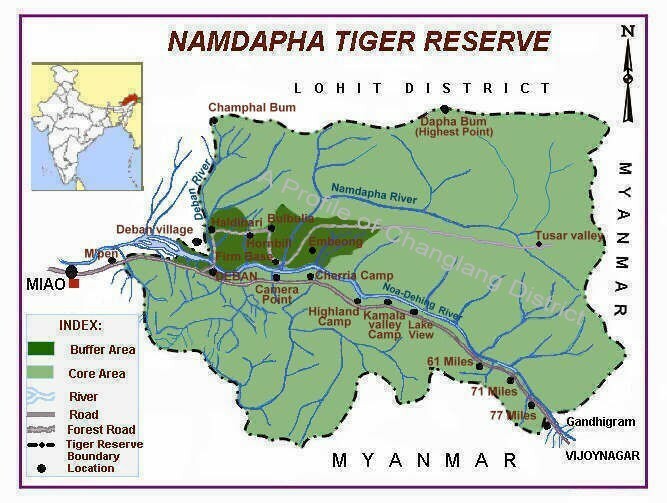 Namdapha National Park renowned as one of the richest areas in biodiversity, huge protected area in the Eastern Himalayas is the largest national park regarding area on which the park is spread in Northeast of India. This region is also known for its extensive Dipterocarp forests and lowland evergreen rainforests. The park is spread on a huge piece of land between Dapha bum range, Mishmi Hills and Patkal range. Offering best example of biodiversity the habitat changes from lower region to the upper region with sub-tropical broadleaf to subtropical pine forests. Apart from this the park is also gifted with huge bamboo forests. Maximum part of the park is mountainous covered with forests of Hollong, Mekal and Hollock trees mixed with creepers. High altitudes of the park are covered with deciduous forests rich in Mangolia, pine, and Betula trees. The area is like a haven for the botanists and researchers with around one hundred fifty recorded tree species, accompanied with incredible varieties of rare orchids and flowers. The park can be accessed from Guahati and Dibrugarh and the nearest railway station is at Ledo. This region has a sub tropical climate and best time to visit this park is the winter season. 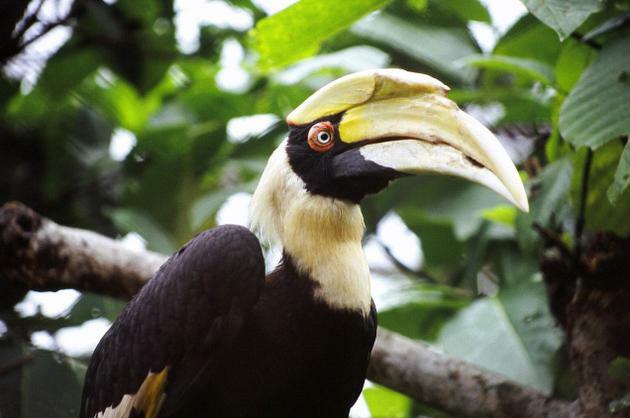 Namdapha’s diverse forests are a haven for the astounding birdlife, where birds like Giant Hornbill, Satyr Tragopan, Monal Pheasants and white-winged wood duck cab be easily spotted. Some of the reptiles like reticulated Python and King Cobra are commonly seen in the jungles of the park. 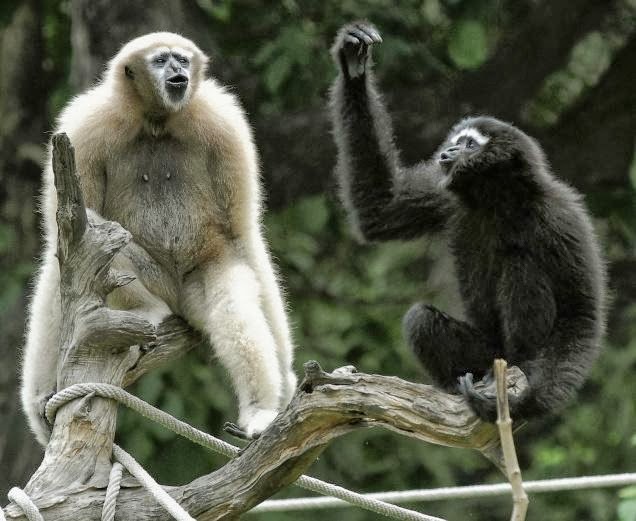 Mammals like Leopard, Jungle Cats and Tigers along with Hoolock Gibbon also are commonly seen in the interiors of the jungles and mountain slopes. Apart from the exclusive wild life there are many other attractions for tourists in the parks eastern side, which borders with Myanmar. Best time to visit this region is from October to April and rest of the months should be avoided, since this period is dominated with heavy rains and flooding of the rivers. For entering the park and staying at the jungle camps a tourist permit has to be taken from the authorities of the Park. Namdapha national park accommodation at Deban inside the park is the best for exploring the region in and around the park. It is the only park in India, where you can stroll freely in the jungles instead of travelling in a protected vehicle. There are many incredible hiking routes and places of cultural as well as historical importance at the east side. Namdapha national park treks are unique identity of the park. Tangsa, Singpho, Assamese, Hindi, English. By Bus - Assam State Transport Corporation from Dibrugarh to Miao via Tinsukia, Margherita, Ledo, Jagun and Kharsang. Indian tourist need to take a permit from district to visit the state of Arunachal Pradesh. Foreign Tourist get permit from Home Ministery New Delhi. For 10 day permit required valid visas and it costs around US$ 50/person. The park remains open for visitors from Sunrise to Sunset. Prefer to wear Green or light colored clothes, bright colors and perfume are not suggested. Namdapha National Park comes in restricted area so pre booking is suggested to avoid the disappoint of unavailability.